St.LukesHealth Karana Netball Club was founded in 1964 as the Karana Netball Club by the late Cleone Probert (Boniwell). Cleone had played with another club before travelling overseas. On her return in 1964 she formed the first Karana team with players from the disbanded Friends Old Scholars team and others. The name Karana is an aboriginal word meaning “Quietly” or “The Quiet One”. The first team consisted of herself, Sandra Creese, Betty Parssey, Ruth Marshall, Sandra Moore, Pat Hurd and Gail Salter. Training was held in the gym at Hobart Matriculation College where Cleone taught. St.LukesHealth Karana has grown from that small start to one of the largest clubs within the STNA. 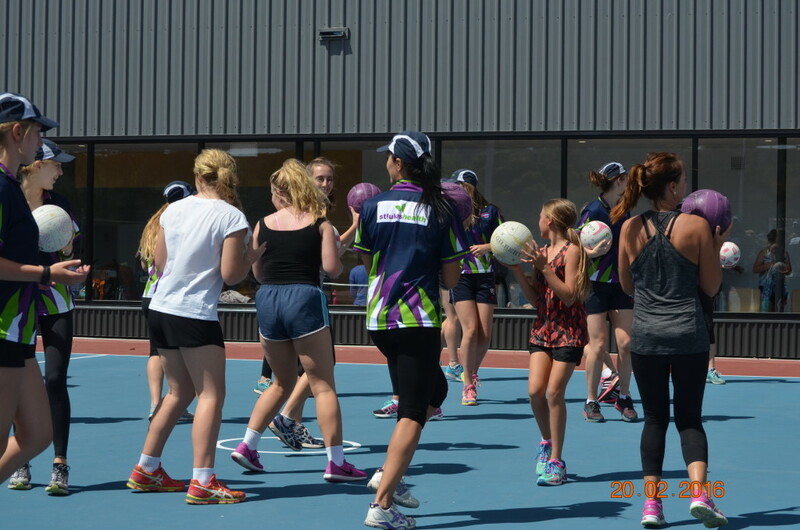 In 2019 St.LukesHealth Karana has 32 teams competing in the RACT Insurance League and the Southern Tasmanian Netball Association. St.LukesHealth Karana has over 260 registered players, coaches, umpires and supporters. The committee of StLukesHealth Karana Flames wish all our members a very Merry Christmas, safe and Happy New Year. We look forward to seeing you courtside in 2018.